NBZ Apparel belongs to a special category of businesses committed to making a difference in the world. Along with other social good companies, NBZ Apparel has a strong desire to help others and give something back. For every three pairs of our pants we sell, we’ll donate one pair to a disabled veteran or a person with special needs. The social good donations benefit causes chosen by our customers with every purchase. Our mission is to make a positive change in the world. Over time our goal is to donate one million pairs of our life-changing pants. 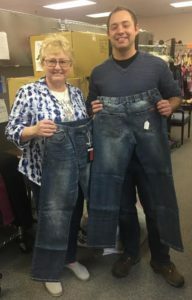 NBZ Apparel displayed their social good impact by donating 140 pairs of NBZ Boy’s jeans to The Hope Chest of Lake County. Our adaptive apparel includes high-quality stylish blue jeans, casual blue jeans, black pants, and khaki pants. 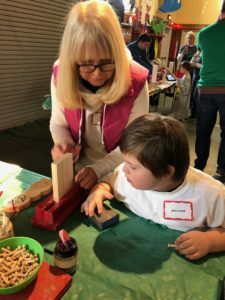 The Clothing is specially designed to promote independence, build self-esteem, and enhance employment clothing options. Find out what you can do to help. Please visit the Get Involved section and learn more. Visit the “Get Involved” section and consider how you can help make a difference in the lives of others with adaptive apparel. Purchase a Gift Card for a friend, family member, or someone you know. Pay It Forward. When you purchase clothing from NBZ Apparel, you get more than a stylish, high-quality pair of pants. You will also be helping others as well. How is this possible? When you place your order, you will be asked to select which of the following you would like your purchase to benefit. These options include ALS, Alzheimers, Arthritis, Autism, Cerebral Palsy, Down syndrome, Homelessness/Poverty, MS, Parkinson’s, Stroke Victims, Veterans, or No Preference. We will total all customer preferences from placed orders. Once a quarter we will donate our pants as designated by our generous customers. 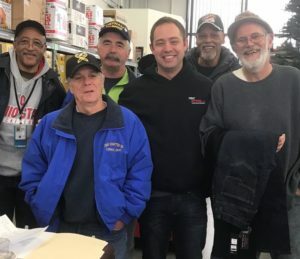 For example, for every 3 pairs of pants we sell where customers list veterans as their preference, NBZ Apparel will donate one pair of pants to an organization that benefits America’s veterans. NBZ Apparel actively engages in community projects and events. Executive Director Karen Boxersox and the NBZ Team annually supports the Rotary Christmas Party.